Bakongo comes renovated in 2106 offering you the chance to live this unique experience in 2 magical locations. This year we will travel around Colombia, carrying the bakonguian spirit. Choose the date that best suits you and take a chance to change the world with us. You will live in a magical, challenging and fun space. You will share with children who do not have the opportunity to experience outdoor education, and who THANK YOU will enjoy the best week of their lives! Bakongo in La Montaña will take place in Ráquira Silvestre, a country hostel located in a beautiful nature reserve in the town of Tinjacá, Boyacá. Learn more from our headquarters here. * Transportation to activities in the region. * Highly trained staff who performs and accompanies all activities. We are very excited to bring back Bakongo to Colombian Caribbean paradise. Do not miss the opportunity to catch it for the joy of our coast and to live this experience surrounded by beach, breeze and sea. * Transportation to and from Cartagena. 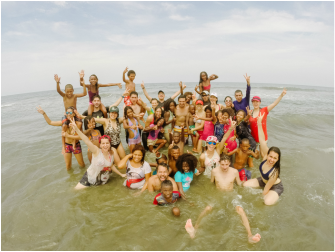 Funding for child benefit is managed through sponsorships and campaigns for resources made ​​by the staffkonguiano and bakonguianos during the past years. If you want to help by sponsoring a child to live with you this camp please click HERE.